Rack Your Friends Up for the Big Game! Description: Looking for something different, exciting, and new for your next event? check out our new Human billiards game where you have use soccer balls to knock the balls into the pockets. 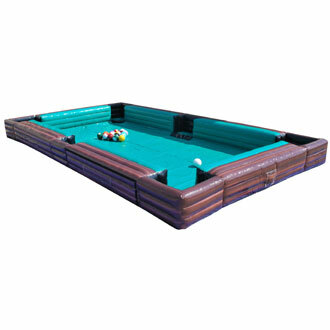 This game is sometime called soccer billiards and its sure to bring lots of fun to your next event.